สมัครทาง E-mail ได้ที่ volunteerservice@gmail.com โดยระบุกิจกรรม “ เขียนศิลป์ฯ 07 เมษา’62 “ ชื่อ/สกุล ……. อาชีพ…… E-mail …… เบอร์โทร……. Volunteers for “chronically ill patients” is an activity that starts from the activity to support a group of chronic renal failure patients who need frequency of dialysis , which must make it a waste of time, high cost, and the barriers to work including many chronic and other diseases happen to them. From operating activities for patients with chronic renal failure, we have learned that there are many other chronically ill patients from several reasons. The patients stay with misery and difficulties not less than chronic renal failure patients. Those are, for example, bed patients, patients with chronic wounds and other chronic diseases. Later, we consider helping not only chronic renal failure patients, but also covers other chronic diseases to people who are in difficulty to help themselves. Our volunteer activity, it is only a small help but full with faith of sharing from each volunteer. You can take part in sharing this time by joining volunteer activities with us, or you can donate necessary things for chronically ill patients such as adult diapers pants, tissue paper, wet paper, the suction machine and equipment, fabric lining, etc. 01:00 -01:30 PM Registration / Introduction to activity, get to know each other, meditation. Painting T-shirt by your own imagination. Exchange learning of volunteer work and present your shirt. 05:00 PM Finish activity, you will get shirt for yourself or you will give to others. 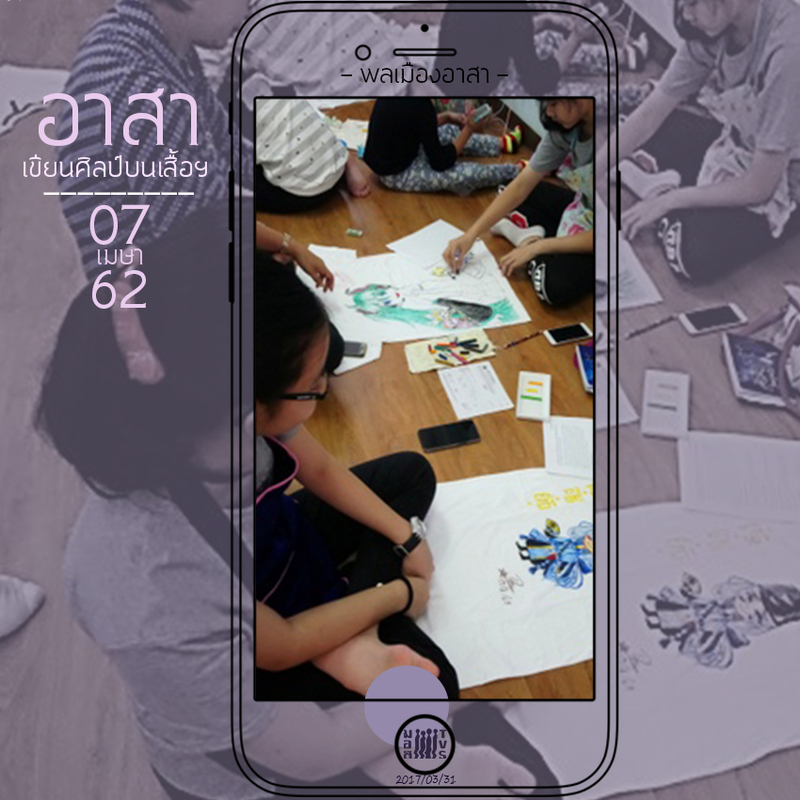 - Joining volunteer activity by support from 200 – 250 baht for T-Shirt of different size. Tax exemption receipt can be requested.